Writing about being a Shemsu-Ankh is hard, because it means so many different things to so many different people. I can only write about my own experiences, and the work that I do that is part of my role as a Shemsu-Ankh. Just to clear up any misconception: Shemsu-Ankh doesn’t mean ‘shemsu for life’ (necessarily). Ankh can also mean ‘vow’ – and it does, in this context. 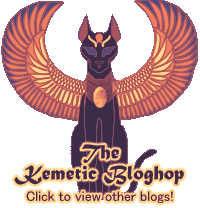 Shemsu-Ankh are Shemsu who have taken a particular set of vows. The process by which one becomes a Shemsu-Ankh is not public besides that. I went into that process knowing little but the fact that I wanted to go through it. I wanted to be a Shemsu-Ankh, based on my interactions with other Shemsu-Ankh and their discussion of what it meant to them. It means responsibility. It means examining myself carefully to bring my life more fully into balance, into Ma’at. It means guardianship of my community. It means making Netjer and Its children a priority in my life. I became more accountable. The gods hold me to a higher standard now – if I make a promise or am asked to do something, I’d damn well better do it. 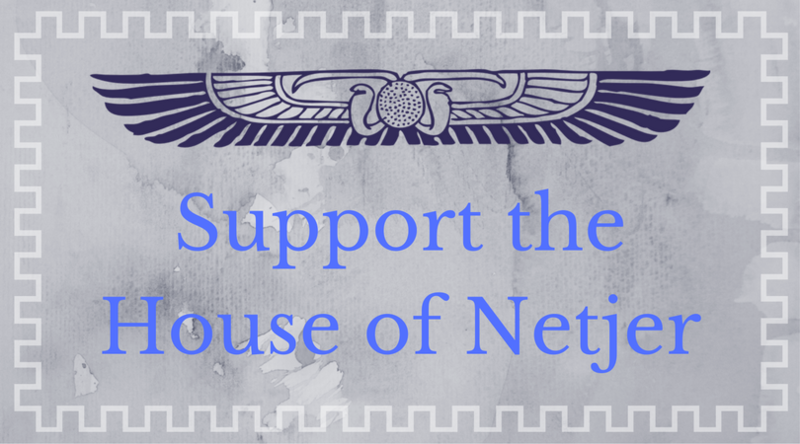 Ma’at is my responsibility, as a role model for other Shemsu. So is self-awareness and self-control. It is hard to describe, not because I am afraid to give away secrets, but because I have a hard time remembering what it felt like not being Shemsu-Ankh. I became more purposed, more devoted to a life of truth and balance, and more connected to the group of people surrounding me in faith. How do I guard and support that community? I welcome newly divined Shemsu. I work as a new member imy-ra, as a contact point for those joining the community. I am friendly to fellow Shemsu, I pray for their intentions, and offer advice and support when necessary. And – because it is impossible to have interpersonal interactions without friction – I stay cool when people argue, and encourage others to do the same. It’s simple work, but it feels terribly important. To me it is – it is how I fulfill my vows.